After two weeks leave I was recalled to join the Naval Commandoes. 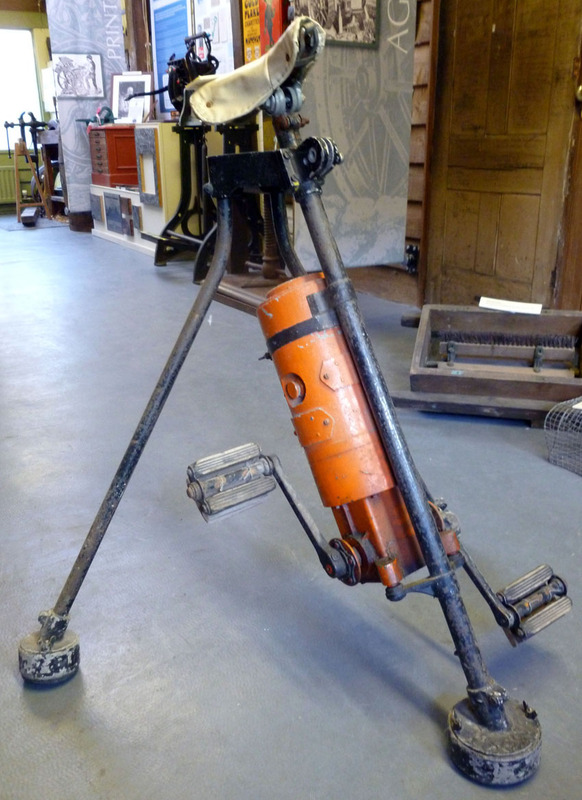 I went back to HMS Mercury and was kitted out with a .45 colt revolver in a huge leather holster from the 1914 war, a pedal generator (like an exercise bicycle) and an Aldis Signal Lamp. I was then sent to Inverary, Scotland to train for landing parties. After training I joined the M.V. Warwick Castle in Lock Fine. This ship was full of American Rangers (commandoes). In November 1942 we invaded North Africa at Angew beach outside Oran. I went ashore with my .45, my generator on my back and waded up the beach. I set up a signal station to communicate with the Warwick Castle for stores and covering fire against the Vichy French who put up little resistance. After a few hours they gave up and surrendered. From Oran we sailed to Algiers and took it over, again with little resistance. I recently bought this strange item, which was being sold off as surplus from a museum. Once I get it home and clean it up I’ll take some better photos and add to the description. 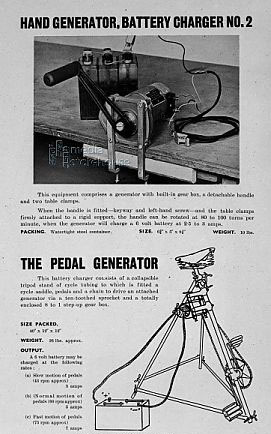 These pedal generators were introduced to replace the hand-operated versions which were difficult to use. 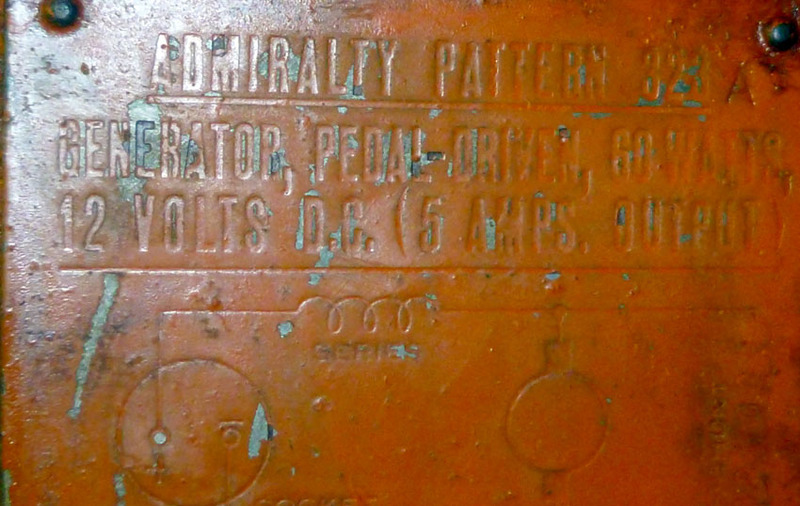 Their primary function was for powering radio transmitters for troops who had landed in enemy countries. They came from the British Special Operations Executive’s (SOE) Descriptive Catalogue of Special Devices. The SOE was formed in July 1940 to conduct warfare by unconventional means. Its activities included espionage, sabotage and assisting resistance movements in enemy-occupied countries.